This Ceylon sapphire and diamond engagement ring really makes a statement! 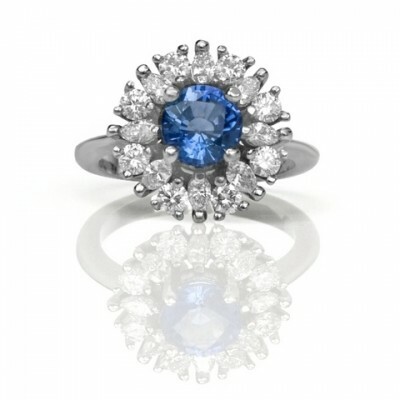 The vibrant blue colour of the sapphire is brought out beautifully by its surrounding diamonds. Available in white gold or platinum.